Timeshare at Club Land'or or International Resort offers spacious and comfortable Condos in the heart of the Paradise Island. Complete with living room, full kitchen, cable tv., balcony, and pull out sofa. Air conditioning included in condo. 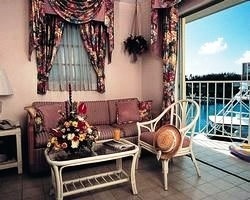 Laundry and housekeeping service, restaurant, pool, Jacuzzi, pool bar, fitness center and lounge on premises. Club Land'or is located next to Atlantis Resort. 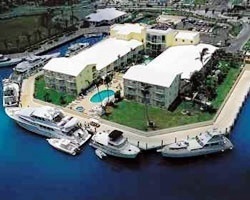 The location is superb, take it all in your own pace, with a short walk to the marina to the Atlantis casino & beach. Shopping is available in and around the marina village or you can take a short water taxi ride to the straw market. You can enjoy the casino and beach and then retire for the night away from the hustle and bustle of the mega Atlantis resort at a far less cost.